U P D A T E: THE GAME HAS BEEN RELEASED ON ITCH.IO. I have to do some more tweaking on the amazon echo version, but for now you can play a version in your browser with the game audio. It's ALMOST like playing it with an echo! I hope someone tries it out for the Showcase Weekend! For my S E V E N T H Wizard Jam entry, I am going to making a game based on Important if True Episode 53 Alexa, Destroy Me. I have to go to Amsterdam for work during the second week of the Jam, but hopefully this weekend and next week I can put something together. These Wizard Jams have always been so much fun, and I wouldn't want to start 2019 on the wrong foot. Important if True is a podcast about a lot of things, but I think one of the primary threads was the weirdness of current technology. 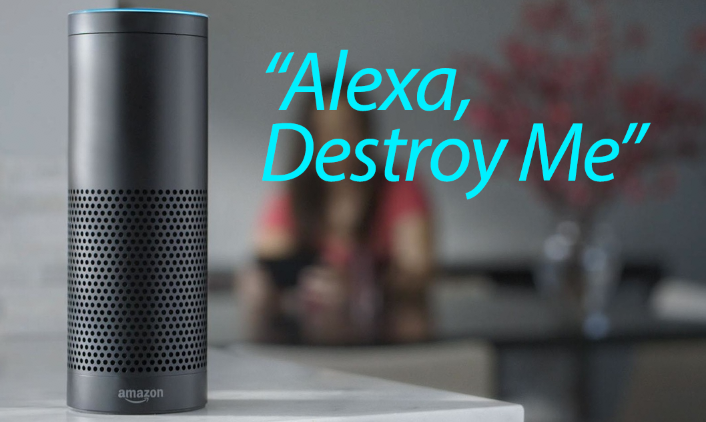 In Episode 53, Jake and Chris (and glitchy roboNick) discuss the Amazon Echo, and it's Alexa Digital Assistant, at length, focusing on the weird laughing that some users reported. Eventually, the command phrase for triggering laughter became: "Alexa, can you laugh?" Chris brought up the inherent strangeness of asking a tiny cylinder if it's able to laugh. He's correct. The fact that people have tiny plastic boxes in their house now that they talk with on the regular is one of these frogs-in-slowly-rising-temperature-water things that defines modern living. You see, silicon valley engineers seemingly are so preoccupied with whether or not they can, they never stop to think if they should. So I'm gonna build an Alexa App. 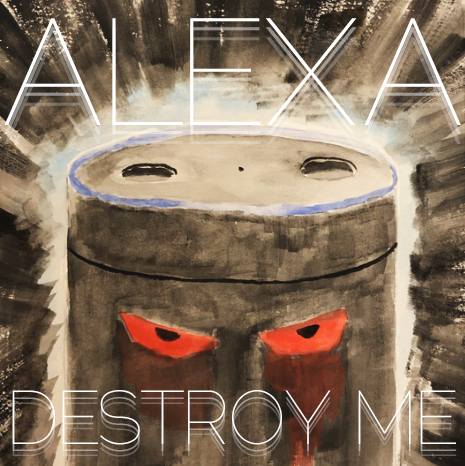 And it's gonna be triggered with "Alexa Destroy Me." And it's gonna explore the weirdness of talking with a ladies voice coming out of a mediocre speaker on a black plastic tube. I know that not many people own Amazon Echoes, so I'm trying to figure out how I might build the same program in Twine so that it can be played in browser, but I'd only do that if I can rig it to have Twine speak the lines, since that's more than half the fun. Last night I started my Amazon developer accounts and whipped up a simple adventure game model in order to see whether or not this was even possible, and it looks like it is. I think that I'm mostly worried about actually submitting the Alexa App through Amazon so that it can actually be played on an Echo. SO I HAVE A LOT OF WORK TO DO. I wonder if anyone else has any experience with Amazon Echo development! I wonder if Amazon will approve of whatever weirdness I write! I wonder if this was A Mistake! This is very cool. I have zero experience with these voice assistants and no idea what an 'app' for one of those can even do but I'm excited to find out! @Synnah - that is the BEST NEWS that I could possibly hear. You've been really helpful with my Jam games in the past, and I definitely will let you know if I run into any problems. What I'd like to do is get everything set up so that all I have to do is fumble around with the Twine2 writing. - Set up my Lambda function, and my core game files, and connected everything. - Fiddled with Amazon's example code so that I could include SSML commands in Twine2. This is VERY EXCITING since this means that I can make Alexa talk in different voices, or loudly, or in a whisper. Also, I can play their like, build in audio files, which are very goofy. - Rewrote the example code so that Alexa doesn't dictate the possible choices each time you enter a different Twine passage. I still need to fiddle with this, since I don't want to make a straight-up adventure game, and this is going to mean that I need to really understand the Intents and Utterances. The example code is built with classic utterances, and I'm still a little bit confused as to how a given Twine2 choice is picked from a given voice command. Also, I need to research Alexa trivia skills to see how to program an open-ended choice. I don't even know if that's possible in Twine. 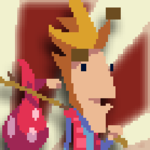 ANYWAY, it's been pretty fun and silly, it's just disappointing that there won't be any gifs to show in this thread, since my game is entirely audio! This sounds like a great learning/exploration project. I thought I would drop in and tell you I have enabled "Whisper Mode" on my Echo, and the world will never be the same again. So, after a weekend mostly setting up the game, I've been able to spend the last few nights writing it all in Twine. I went and brainstormed a series of interesting ideas to play with for Choose Your Own Adventure style games and for Alexa in general, and I'm (very slowly) incorporating everything into the game. Alexa doesn't have the comic timing that I wish she had (although I think that if I get a chance to do some last minute polishing I can probably program some in with carefully placed break/pause commands), but she's got a fun voice to play with. Right now, much of the game is commanded with "go left" or "go right" or "yes/no" commands, and I will need to go through and fiddle with the intentions so that I can allow for more exciting inputs. Let's hope that I can get things done on the flight out to Europe this weekend. The most exciting aspect is that since my Echo is associated with my developer account, I can just turn around and gametest with an actual Echo in my room. I put an early clip from the game up on the slack channel, if you want to listen. This is a great idea! I don't own an Echo device but I'm looking forward to the gameplay videos where people just film their creepy cylinder. I released the game on itch.io, complete with all of the audio, in time for the Showcase Weekend . Think of it like an emulated version. I'm going spend a little more time making sure that all of the various utterances work on the Echo version, and hopefully submit that one soon! This is fantastic! Very well written and funny. This is well written. The feeling of contempt really comes through. I like that basically anything you do results in new prompts and dialogue, so you aren't going in circles trying to find one specific key or something like that. From what I played there seem to be a lot of different branches. Alexa even had a reaction for the order in which I went into different rooms. I love the writing and the way you played with voice modulation! I need to go explore the other endings when I have time. Great writing and it feels impressively expansive! I felt like some of the passages were a bit long to be spoken aloud, though - I enjoyed reading them but Alexa is just too damn slow at reading. Nevertheless, this is a great idea for a smart home app - if you're bored at home and want to kill five minutes, have a go on this game and try some different choices. You could even keep updating it with more branches. Hope you get it working on a smart home device soon!